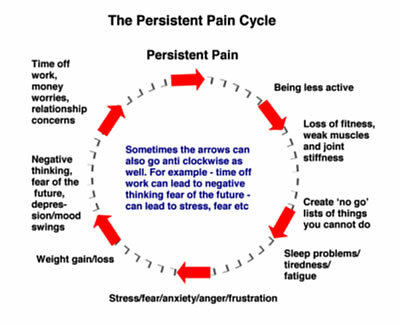 Is pain having a negative impact on your lifestyle? Pain management can address this issue. Are you finding it difficult to sleep due to pain or feeling frustrated, hopeless or ‘useless’ because you are no longer able to participate in your usual work or recreational activities? 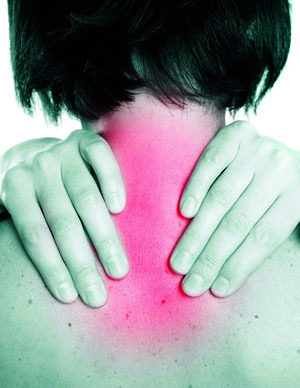 Pain management can help to get you back on track. Are you finding that pain medication is inadequate or not as effective as they used to be in helping you to cope with pain? Pain management is looking to find other ways of reducing the impact of pain and/or reduce the reliance on medication. Pain management is about learning different ways of dealing with the pain. A recent pain management show by SBS Insight program drew on data showing that prescriptions for some pain-killers and anti-anxiety medications have jumped over the past decade. It highlights particular concerns relating to Oxycontin and Xanax. Many patients use these drugs responsibly and successfully, but Insight reports that an increasing number are becoming unwittingly dependent on these medications. A “Facts at your Fingertips” report from the Australian Bureau of Statistics, released during National Pain Week July 2012, reveals that the prevalence of chronic pain in Australia is on the rise. Our pain management program includes such topics as understanding chronic pain, effects of chronic pain, treatment, sleep, stress, fear of re-injury, relaxation, posture, anxiety & depression, pacing & dealing with flare-ups, emotional support, a balanced life and goal setting. Sometimes we don’t know how to manage the impact of pain and those around us also feel at a loss. Learning different techniques may not remove the pain but will help you to deal with it better by learning new strategies. The Psychologists at Sheridan’s Psychology Pty Limited integrate a range of therapeutic approaches including cognitive behavioural therapy, motivational interviewing, brief solution focused therapy and acceptance & commitment therapy. The services provided by Psychologists within our practice are covered by Medicare, Private Health Funds, CTP, Work Cover and privately funded. The warm, friendly and down to earth Psychologists at Sheridan’s Psychology Pty Limited would like to help you manage pain or change your lifestyle so that you can experience joy & vitality again.